Mausoleums are stately buildings constructed for above-ground entombments. They have been recognized throughout the ages as grand declarations in memorializing family members. 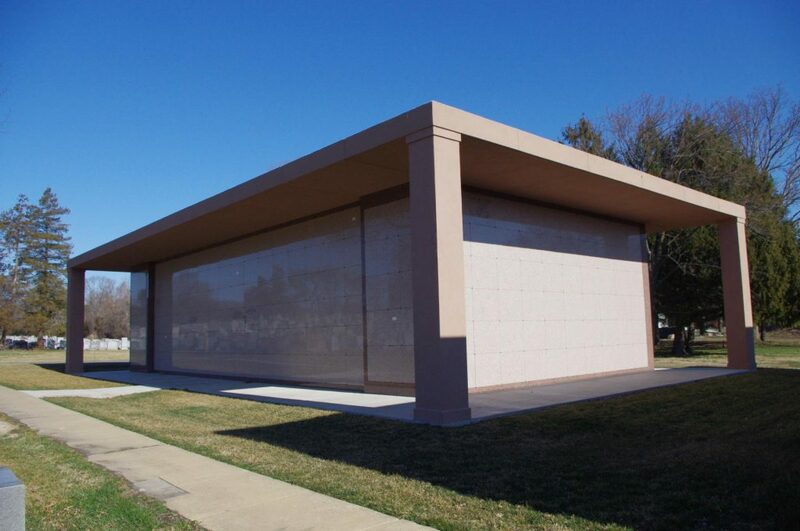 Today, mausoleum crypts are available to and affordable for almost everyone. Montefiore has a fine selection of community mausoleums, as well as the opportunity to construct a private mausoleum. A mausoleum crypt is a clean, dry, and dignified alternative to a traditional ground burial. Private Family Mausoleums are for those who want to preserve their family’s history in a dignified and personalized way. A private mausoleum is the one piece of property that really will be in your family forever. We have many prominent locations for the creation of a private estate. Contact Bill Loy at 215-663-1250 ext. 208 for further assistance in selecting a location as well as designing a private estate that will reflect your family’s heritage.